Acarbose is a medication prescribed for treating diabetes and polycystic ovary syndrome, or PCOS. Manufactured by Bayer Corporation, acarbose is available as the brands Precose and Glucobay. It helps most people lose weight more easily, according to Diabetes Monitor. Because excess weight is associated with both diabetes and PCOS, talk with your doctor if you have either of these conditions, are overweight and are interested in this medication. In type 1 diabetes, the body stops producing insulin, and in type 2 diabetes, the body either does not produce enough insulin or cannot use it effectively. Not using this hormone effectively is called insulin resistance. Both conditions cause high blood sugar levels. Acarbose can be used with insulin in type 1 diabetes for better blood sugar regulation, and as a therapy combined with diet or other medications for treating type 2 diabetes. Because many PCOS patients have insulin resistance, acarbose may help them as well. PCOS is characterized by infertility, obesity, acne, excessive body hair and infrequent or absent menstrual periods. Acarbose works by slowing the action of chemicals that digest food in the intestines, notes PubMed Health, a website of the National Center for Biotechnology Information. This extends the time it takes for carbohydrates to turn into glucose and enter the bloodstream, preventing blood sugar spikes after eating. Acarbose is classified as an alpha-glucosidase inhibitor. It also lowers levels of androgens, or male hormones, in women, according to a review of studies by Christine Kircher and Katherine P. Smith published online in "The Annals of Pharmacotherapy" on May 6, 2008. In a study published in the September 1997 issue of the "International Journal of Obesity and Related Metabolic Disorders," lead author T.M. Wolever and colleagues found that long-term use of acarbose resulted in a small weight loss in people with type 2 diabetes. The effect did not seem due to appetite suppression. 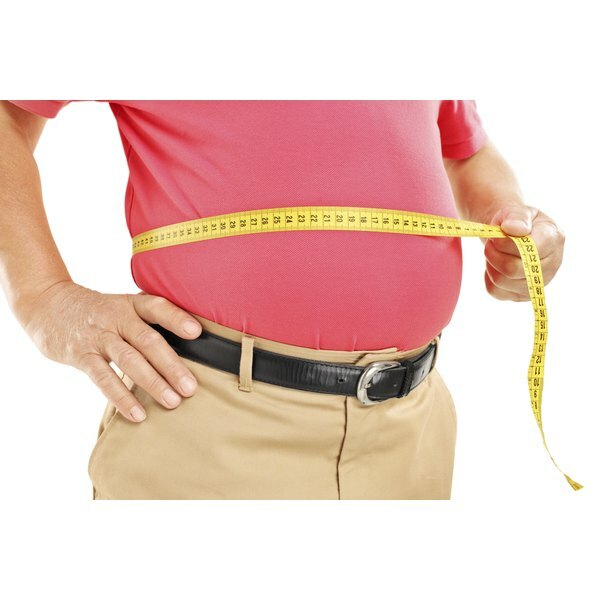 In contrast, research by lead author H. Hauner, et al., published in the December 2001 issue of "Diabetes, Obesity and Metabolism," found that obese people who had lost a substantial amount of weight did not experience a significant benefit in maintaining their new weight from taking acarbose. Acarbose appears to improve various symptoms of PCOS, indicates the "The Annals of Pharmacotherapy" review of studies. Acarbose therapy improved acne and excessive hair growth, and it worked better than the diabetes medication metformin for weight problems, menstrual irregularities and fertility issues. Most people experience some gastrointestinal side effects when taking acarbose, according to Diabetes Monitor. Gas, diarrhea and abdominal pain are common complaints, but they tend to dissipate over time. Acarbose may cause dangerously low blood sugar levels when taken with insulin or other medications that regulate blood sugar, as noted by PubMed Health. Early symptoms include hunger, shakiness, weakness, nervousness, irritability, dizziness, lightheadedness, headache and sweating. Severe hypoglycemia can develop if the situation is not resolved, and can result in confusion, loss of consciousness and coma. Hypoglycemia associated with acarbose must be treated with a glucose product such as Insta-Glucose, rather than with table sugar or sweet food, because acarbose prevents breakdown of sugars other than glucose. Why Is it Hard to Lose Weight With Diabetes?